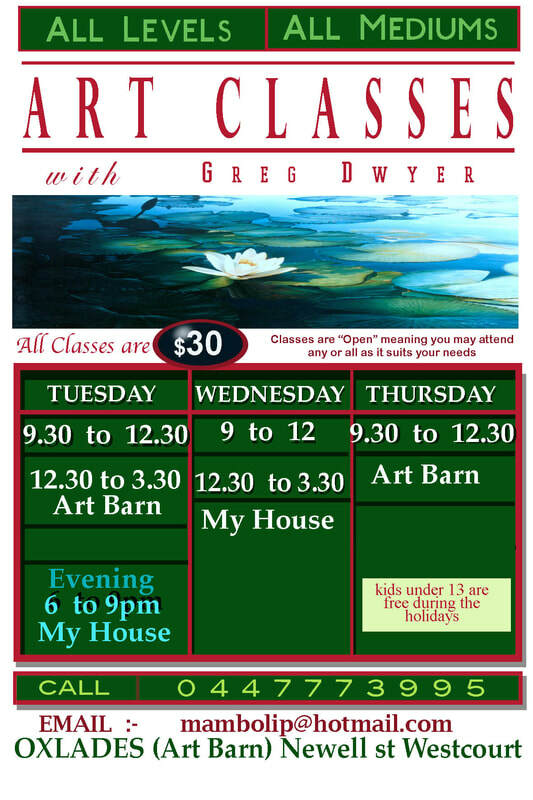 to contact me please write "Art Class Enquiry" in the subject box of your email so it wont go to junkmail. ﻿ Art Classes are really "Seeing Classes". Everything you see is made up of colour and shape. If you can see the colours and shapes, you can paint them. All you'll need to get started are some primary colours. ﻿If you learn from the primaries your understanding of how colours work with each other is invaluable. You can get started with 5 brushes. call or email and I will send you a generic enquiry list of handy hints about getting started.